Philadelphus Innocence is an upright deciduous shrub with an arching habit. The dark green leaves variegated with creamy white are attractive in themselves but come early summer strongly scented white blooms are produced that carry tha familiar sweet orange blossom fragrance. Ideally suited to the back of border or grown as a specimen plant. Height 90-100cm. Supplied in a 7.5-10 litre pot. 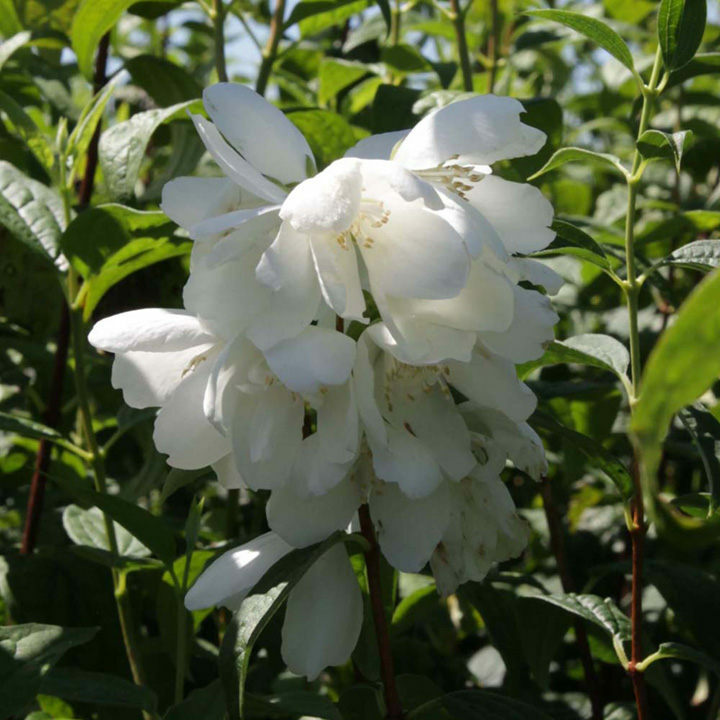 Philadelphus Innocence is an upright deciduous shrub with an arching habit. The dark green leaves variegated with creamy white are attractive in themselves but come early summer strongly scented white blooms are produced that carry tha familiar sweet orange blossom fragrance. Ideally suited to the back of border or grown as a specimen plant. Height 90-100cm. Supplied in a 3 litre pot or 7.5-10 litre pot.